Writers: Eric Pearson, Craig Kyle, and Christopher Yost. Based on the comics by: Stan Lee, Larry Lieber, and Jack Kirby. Ruffalo (Bruce Banner/Hulk) Idris Elba (Heimdall), and Jeff Goldblum (Grandmaster). The Marvel Cinematic Universe first began in 2008 with the film Iron Man and has still been entertaining audiences with its super-hero shared franchise. 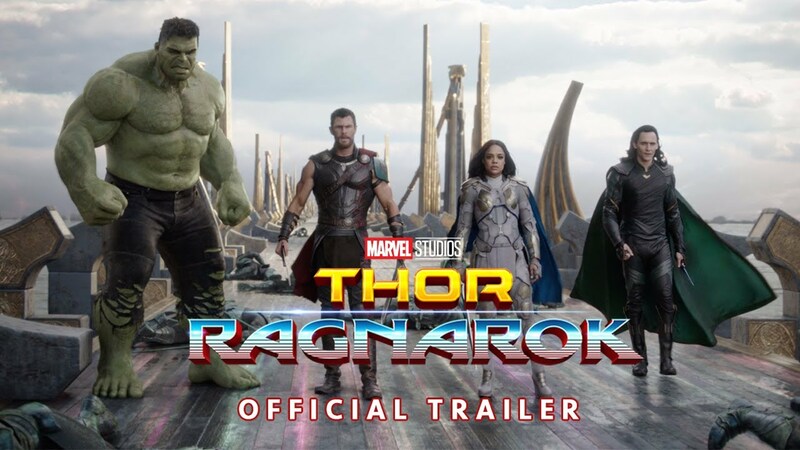 Thor: Ragnarok is the latest movie in the universe that takes place after the events of Avengers: Age of Ultron. Ragnarok is the 3rd Thor film after Thor (2011) and Thor: The Dark World (2013). Personally, whenever I think of Marvel, the Thor films have always been my least favorite due to lack of interest in the character, storyline, and not finding them anywhere near as entertaining as ones such as Avengers or Guardians of the Galaxy. However, Thor: Ragnarok completely changed my mind and view on the character of Thor and may just be one of my favorite movies in the Marvel Universe. Thor: Ragnarok ditches the formula of the first two movies and decides to incorporate much more humor and light-heartedness making it a very entertaining and funny time. I found myself laughing throughout the majority of the film and never ceasing to have a smile on my face. One cameo towards the beginning left me confused on why they were in there but eventually ended up laughing at the ridiculousness. Jeff Goldblum as the Grandmaster was always entertaining when he was on screen and made for a funny villain. 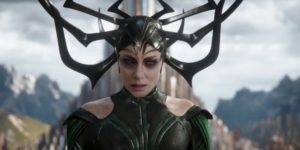 The main villain of the film was Hela (Cate Blanchett) who I thought was a little underwhelming and underutilized. Marvel films have always struggled with making a great villain as they are rarely relatable and humanistic unlike a lot of DC comic villains, who are much more memorable. I felt Thor: Ragnarok continued that streak of having a weak villain. Ragnarok was an extremely fun time at the theater with a cast of very likable characters (watch for the character of Korg as he stole a few scenes), humor that landed throughout, and a story I could get behind. It also shared aspects of cinematography with the Guardians of the Galaxy films with bright colorful environments that were pleasant to look at. My one big negative was Hela, while not necessarily a bad villain as she was certainly better than a lot of Marvel bad guys, she just didn’t have the motive I was looking for that so many DC villains have. 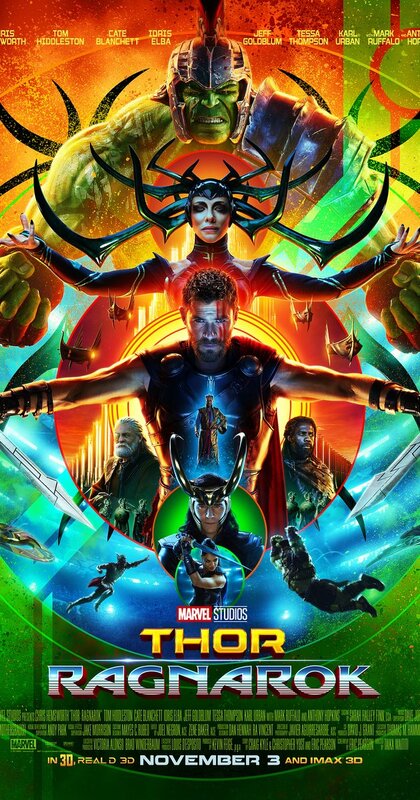 My interest in the character of Thor has risen immensely after this film and I’m surprised to say that this is my personal favorite MCU movie of the year.